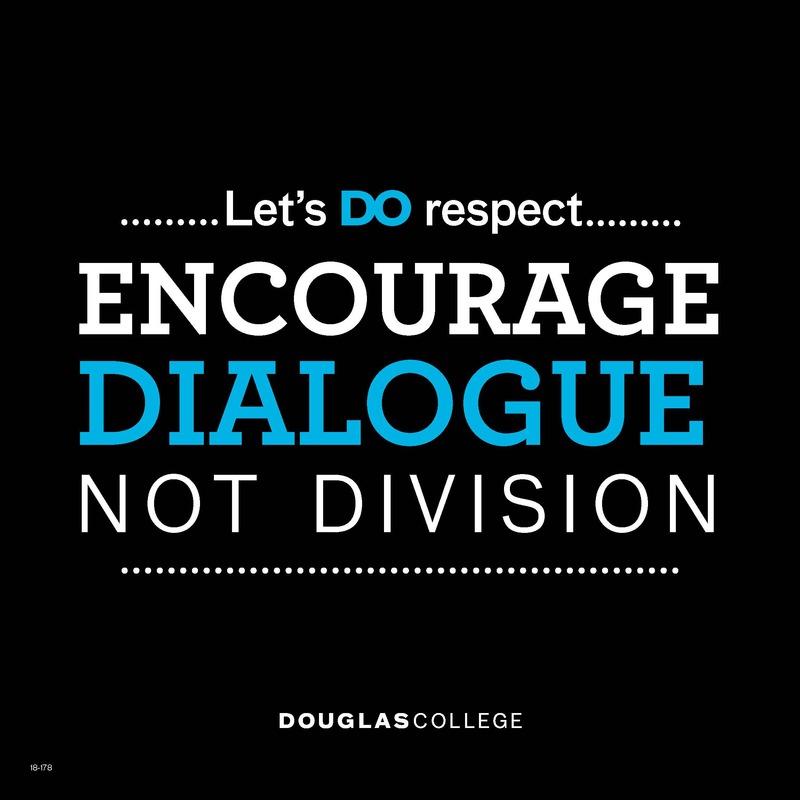 Following the SHIFT event aimed at increasing awareness for sexual and gender violence, Douglas College has now launched the Let’s DO Respect campaign. Jay Solman, manager of Douglas’ new Office of Student Support and Conduct, spearheaded the campaign and video. The aim of the campaign is to create a healthy and respectful student environment. The college will attempt to promote this idea by circulating posters to spread the message. This campaign comes from the Office of Student Support and Conduct, where students can report any incidents of sexual violence or violence that goes against the college’s behavioural code. The office holds the responsibility of investigating complaints and taking action against the perpetrators. They also work together with the counselling service providers of the college to help students in need of intervention or for someone to listen. The counsellors will provide professional advice to students in need. The college produced a video featuring students, faculty, and administration asking the community to “do something” against issues of harassment, sexual violence, and discrimination—adding another layer to the college’s slogan. “When you choose Douglas, you choose to be a part of a community that believes in respect, inclusion, diversity, and taking care of each other,” say the participants in the video. According to a 2005 article in the Journal of Social Work Education by the Council on Social Work Education, a classroom that is a “safe space” allows students to express their opinions and attitudes without fear. The article states: “Safety in this sense does not refer to physical safety. Instead, classroom safe space refers to protection from psychological or emotional harm.” The Let’s DO Respect campaign reinforces this sense of security through eliminating harassment, violence, and other behaviours that contribute to a negative environment. As part of the campaign, the college is involved in research where it develops and plans online modules on sexual violence and workshops. 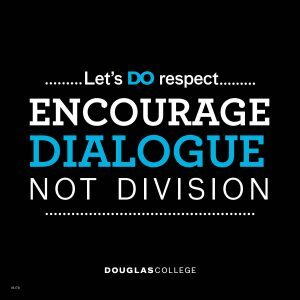 These tools help to spread the message that Douglas College is a welcoming community that supports respect.